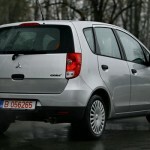 The car that you see in the pictures is part of the Colt range, but is the newest version called ClearTec which promises low CO2 emissions. 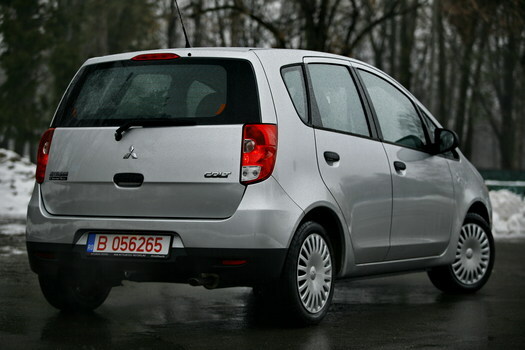 That’s what our planet needs, a car with low CO2 emissions and this Mitsubishi Colt ClearTec gives just 115g/km of CO2. 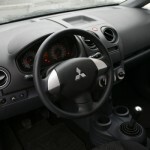 For this generation of Colt, Mitsubishi took the smart decision to give up to the diesel motorization. 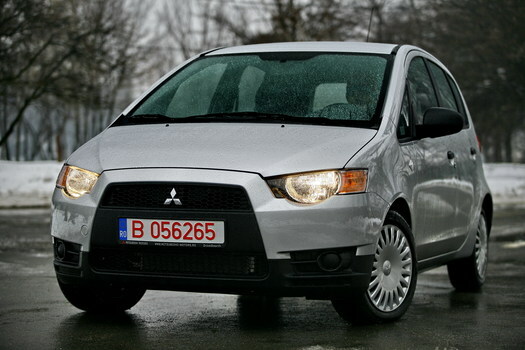 This new Mitsubishi Colt ClearTec is available in just three motorization versions and all three are on gasoline. 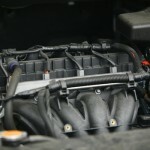 This decision was taken thanks to the weak sales of the diesel version in Europe. 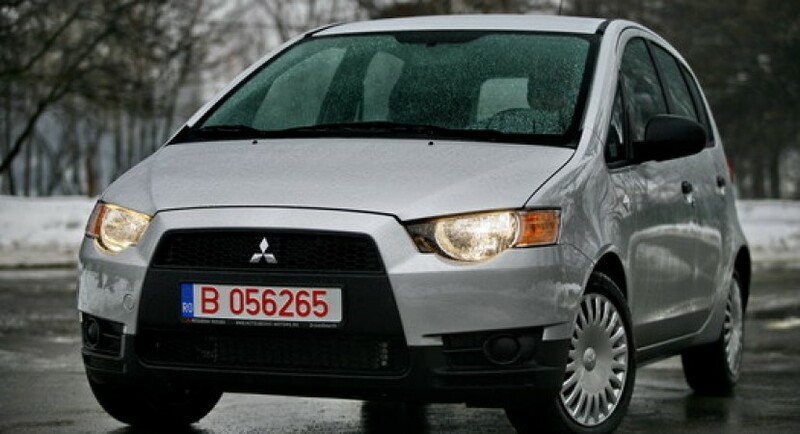 This so called Mitsubishi Colt ClearTec is available with 1.1 (75 horsepower) and 1.3 (95 horsepower) motorizations. At the first sight this looks like a regular Colt, the only difference at the exterior being those small wheels and the ClearTec banner. Besides that there’s nothing different at the exterior. 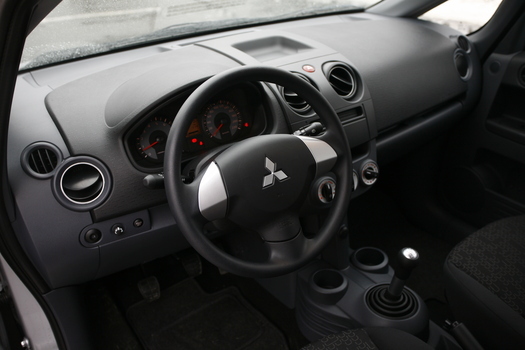 In the interior the only difference is an additional button, the button for the Auto Stop&Go system or ASG briefly. 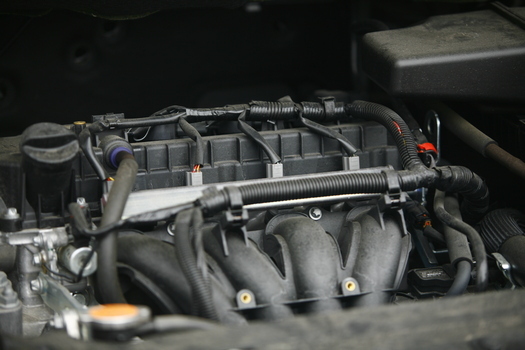 This system stops automatically the engine when the gear box is on neutral and the clutch pedal is not pressed.